Anti-Poverty Week is an opportunity for us to create awareness, encourage discussion, and take action on ending poverty. More than three million Australians live in poverty, nearly a quarter of a million are children. Children growing up in poverty may miss daily adequate meals, be unable to participate in school excursions, and have irregular health checks. They miss out on experiences that others around them participate in, and the chances of them continuing to live in poverty as adults is extremely high. How can I help? Hold an event throughout the week, and encourage others to do the same. Register your event on the National Anti-Poverty Week website. An event could include a discussion, presentation, petition, performance, or it could be an event that encourages donation to a cause that works to alleviate poverty. 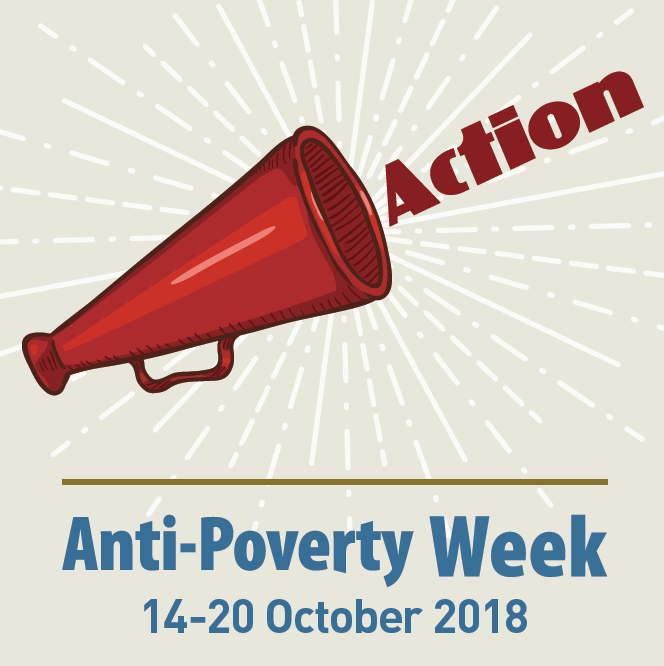 Follow the Anti-Poverty WA Facebook Page and Anti-Poverty Week Instagram Page to stay up to date with local events and information, and make sure to share and get involved! Consumer Protection WA, in conjunction with the Northern Suburbs Community Legal Centre, is hosting a networking session and delivering a presentation outlining upcoming FDV related tenancy law changes – The Residential Tenancies Legislation Amendment (Family Violence) Bill 2018. Legal Aid WA will present details of its new resource called Blurred Borders, which includes a Family Violence Kit for community lawyers. Landlords, property managers, and renters are welcome to attend the session in Mirrabooka, on Friday 21 September. Are you a grandparent who has full-time care of your grandchildren, or know someone who does? Wanslea Children and Family are conducting research, which involves surveys and interviews of grandparent carers. The research will help better understand the impact of the caring role on grandparents, and identify and support their needs, while helping services shape their delivery to those needs. The Youth Affairs Council of Western Australia (YACWA) in collaboration with Red Cross WA is seeking young carers in WA to develop ideas and solutions to the challenges they face. Five young creative people with lived experience of being a young carer are sought to join the core team as youth consultants. Express your interest via email to: shenali@yacwa.org.au by 12pm, Friday 7 September. 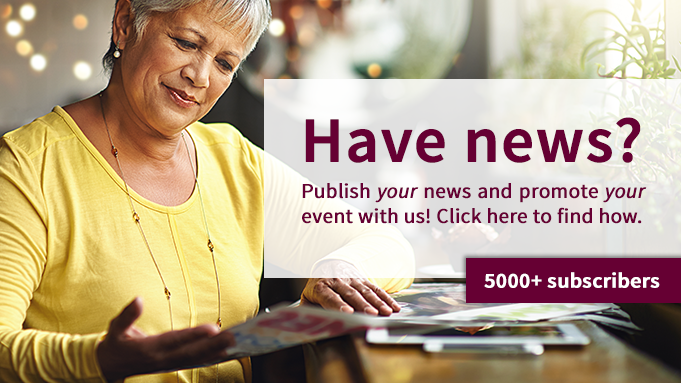 ConnectGroups' new Give it Forward (GIF) easy grants program is now open to WA Self Help and Support Groups, managed by ConnectGroups and supported by Lotterywest. The objective of the grants is to help Self Help and Support Groups to grow, increase their capacity to support others and remain robust and sustainable. Grants are now open for submissions up to $10,000, and round one applications are open until Monday 15 October. In Western Australia, there have been 18 deaths since the last Silent March - already 6 more than last year's total. Save the date and join the Women's Council and other stakeholders for the 28th Annual Silent Domestic Violence March at 10:30am, Friday 23 November 2018 in the Supreme Court Gardens, Perth. ACOSS has called for fundamental reform of Australia’s employment services as the jobactive system is currently failing both employers and people looking for paid work, due to inadequate investment and an over-emphasis on social security compliance. In a submission to the government's review of employment services, ACOSS identified that the investment in education and training for people who are stuck in unemployment is very low, while customer service is poor, due to staff managing high caseloads in a competitive market. HESTA superannuation have released a report on the future of the aged care workforce, which shows that more than 200,000 HESTA members are working in aged care. The report identifies the increasing need for more workers in coming years, and has indicated they are interested in partnering with the sector to explore solutions for addressing some of aged care's greatest challenges. Bankwest Curtin Economic Centre (BCEC) is holding a free workshop to explore ways in which WA can strike a balance between affordability, reliability, and environmental impact in its energy market, while ensuring responsiveness to changing consumer needs and space for innovation. Facilitated by Chris Twomey, the panel will discuss the topic: ‘Energy in WA: How do we develop an inclusive and innovative policy in WA?’. Make sure to register for the event on Thursday 27 September 2018. The McCusker Centre for Citizenship at UWA builds partnerships with not-for-profit, community, and government organisations, to place UWA undergraduate and postgraduate students in structured, quality internships. Find out how your organisation can become a McCusker centre partner and offer an intern the opportunity to contibute to your organisation. Make Smoking History will air ‘Terrie’s Tips’ across Western Australia from Friday 16 September. It was first aired in WA between June and August 2018. A portion of the advertising will target Aboriginal people and people of low socio-economic status, achieved through the targeted placement of advertisements on social media and out-of-home placements in low SES areas to reach these audiences. Read more about the Make Smoking History campaign. Social Reinvestment WA have a project underway to implement the first trial site in the state, that builds on justice reinvestment principles and will be a unique, community-led solution to reducing crime and incarceration, ultimately creating healthy families and safe communities using the Smart Justice approach. Anyone interested in collaborating, or for more information, contact Sophie Stewart, Social Reinvestment WA Coordinator, sophie@wacoss.org.au. Curtin University will host the Australian Ally Conference with the theme Activating Human Rights: Sexual Oreintation, Gender Identity and Intersex Status - Leading the Change, from 27-28 September. Speakers include Disability and LGBTI/Queer Rights Activist Jax Jackie Brown, Nick Lawrence, Founder of Transfolk of WA, Sam Winter, Transgender health and rights scholar at Curtin University, among many. While the achievement of marriage equality was a highpoint in the struggle for human rights of LGBTIQ+ people, this accomplishment still does not mean all people enjoy the same rights, and the public debate exposed some entrentched social, cultural, policital, economic, and other forms of discrimination and harmful attitudes. There is more to do for human rights of all LGBTIQ+ people. Eligible community and not-for-profit organisations can now apply for a share of $20 million of Australian Government funding to support their volunteers. One-off grants of between $1,000 and $5,000 are available to organisations to support their volunteers through practical measures - such as the purchase of equipment, reimbursement for the cost of fuel, training, and screening checks. Give it Forward (GIF) is a small, flexible, innovative grants program open to WA Self Help and Support Groups, managed by ConnectGroups and supported by Lotterywest. The objective of the grants is to enable Self Help and Support Groups to grow, increase their capacity to support others and remain robust and sustainable. GIF grants are slightly different to regular grants, and round one grant applications are open until Monday 15 October. The Consumer Protection Awards provides an opportunity to reward and recognise the achievements of individuals, non-government organisations, businesses, local governments, journalists and media outlets that have increased awareness of consumer issues, provided support for disadvantaged consumers or contributed to injury prevention for children. Potential nominees may have helped consumers with tenancy matters, scam prevention, debt management or understanding contracts. There is less than 12 months left for Incorporated Associations and Clubs to update their rules to meet the new requirements of The Associations Incorporation Act 2015. The three year-transition period to make necessary changes to the rules ends on 30 June 2019. Resources have been provided by the Department of Mines, Industry Regulation and Safety, see here. Is your constitution up to date? The Office of Multicultural Interests (OMI) is offering funding of up to $50,000 through its Community Grants Program for projects that benefit culturally and linguistically diverse communities. If you have a project idea you can arrange a one-to-one meeting with an OMI staff member prior to submitting your application.